The thing everyone says after having LASIK is ‘I wish I’d done it sooner.’ It’s so true, I wish I’d done it years ago. 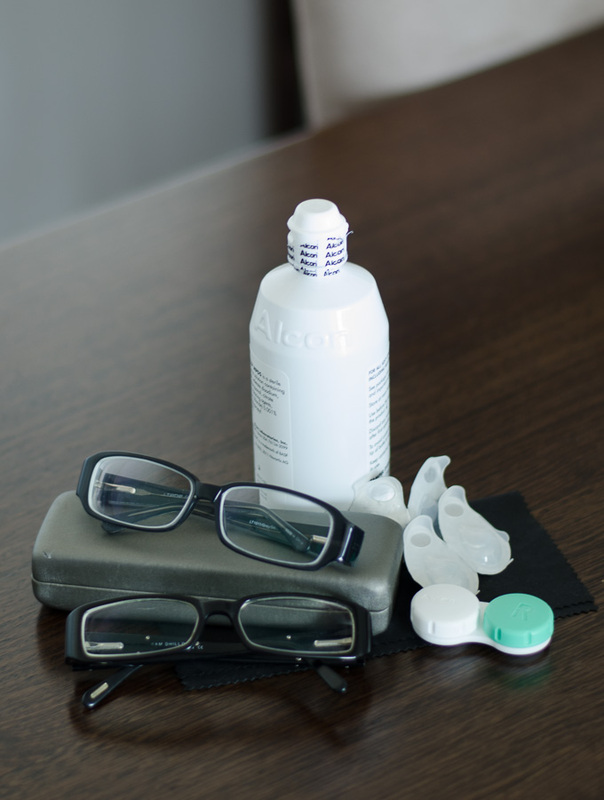 Goodness knows, it would have been worth it just for the convenience, but if you factor in the cost of glasses, contact lenses and cleaning solution, it becomes all the more worthwhile. In fact, the earlier you get it done (within reason, and once your eyesight is stable) the more money you save. Sorry about the grainy picture. My glasses were gold-rimmed and very reflective. It was the 90s. 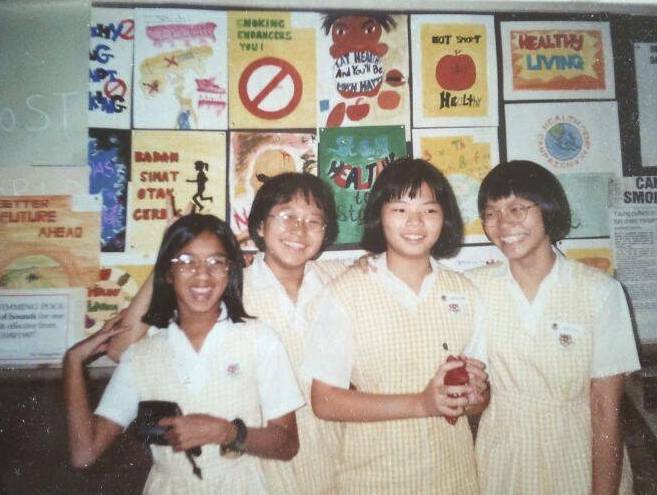 I’ve been wearing glasses for as long as I can remember. My mother would repeatedly tell me to not to sneak-read in my dimly lit bedroom because it would ruin my eyesight and make me need glasses. And that was bad because glasses are ugly and the damage done to your eyes was irreversible. As a child, it appears that I took the latter part of that advice very seriously because it wasn’t until I could no longer make out the squiggles on the whiteboard that I told my mum that I thought I needed an eye check. At my first eye examination, the optometrist told me that my prescription was -4.00. In both eyes. Needless to say, the optometrist was not impressed. Looking back, I now know that my short sightedness was probably genetic but my nine year old self wished I hadn’t read in bed, or in the car or watched as much TV. I hated my glasses. I hated how much they fogged up when I ate a hot bowl of laksa, or got smudgy and had to be cleaned about fifteen times a day. When I was fourteen, I finally managed to convince my parents that I needed contact lenses. They were better for things like sport, but no less work. Still, I was grateful to have them – and tried to stretch out their use for as long as possible by wearing monthly contacts for two months, a habit that I carried on into my twenties. I had wanted LASIK throughout my twenties but never really had the means to pay for it. What really strikes me about it is that conceptually, it’s not dissimilar to dental braces – I kind of wish that my parents had paid for it and let me pay them back over time. It wasn’t cheap, and it wasn’t until I looked at the cost of getting a good pair of glasses made recently that it really got me thinking. I had briefly entertained the thought of getting LASIK done in Australia, but the price alone was enough to make my eyes water. I’ve put my experience below in FAQ form to less wordy and make it easier to follow. It’s still a very long post and quite detailed for those who are considering laser eye surgery. I have also written a follow up post about SMILE vs LASIK enhancement here. I’m short sighted in both eyes -6.00, with 0.25 astigmatism in the left eye. I own some cheapie glasses but prefer to wear contacts – I’d wear them from 9am to 9pm pretty much every day. I never had much of a problem with dry eyes in Australia but it became more of an issue in the dusty Sri Lankan surroundings, combined with having the air conditioning on more in a hot country. I’m not paranoid, but I tend to ask lots of questions and read lots and lot of online forums, reviews, reports and studies – after all, I’ve only got one set of eyes. 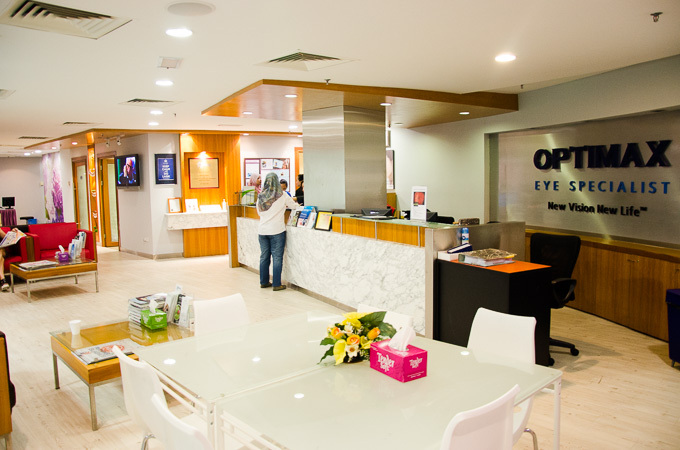 I had been to other clinics before – Canberra Eye Laser in Australia and Advance Vision in Damansara Uptown, KL. Both looked good on paper and offered the initial consultation free, but I wasn’t sold. Canberra Eye Laser was way out of my price range – in fact, I could fly to KL, have a short holiday and get my surgery done for the same price as it would cost to do the surgery in Australia. So I figured I might as well find a reputable clinic in Malaysia and get some good food and a short holiday out of it. (Update: 3 years on, my partner decided to do the same and get LASIK at Optimax too). I started researching my KL options. Advance Vision sounded great on forums but the optometrist on duty couldn’t answer my question about microkeratome vs bladeless LASIK and didn’t call me back to follow up. Their prices were almost too cheap and I wasn’t confident in entrusting my vision to them, or in the knowledge that my eyes would get the follow up care I wanted. I have to admit I wasn’t convinced about Optimax before I attended either, partly because they seemed to have so many promotions – I was looking for a reputable clinic, not a bargain basement deal on my eyes. What convinced me was that my mother had done her surgery there – over fifteen years ago and was happy with it. At the end of the day, Optimax ticked all the boxes for me – they’re reputable, they have experienced surgeons and a long history of satisfied patients – they’ve looked after 100,000 patients over 20 years. Plus, the staff were really good at responding to messages via Facebook and email. Being overseas, it was very helpful to be able to message over Facebook for appointments. There are companies offering cheaper LASIK but I just wasn’t comfortable going the cheaper option for something as valuable as my eyesight. I paid RM195 (± AU$70) for the initial assessment, but it was significantly more comprehensive than the other two had been. Over the course of two hours, my optometrist, Charles Boey, looked at corneal thickness, topography, colour vision, dry eye, just to name a few. The wait times between each check was minimal – I’m only mentioning this as at my surgery, a fellow patient mentioned that he had waited 4-5 hours for all his LASIK assessment tests to be complete at ISEC. I knew it was the clinic for me when he noticed a small scratch in my left eye that none of the other optometrists had pointed out before. Charles wanted to be sure about which surgery was right for me, and took me into Dr Chuah’s office for a second opinion. I was still quite worried and unsure about my options – at this stage they were recommending ASA (which is more painful). I asked Charles to take me to see Dr Stephen Chung for a third opinion – fortunately for me, Dr Chung saw no issue with the scratch and said I would be eligible for both LASIK or SMILE. Please note that each clinic has their own conditions for their lifetime enhancement guarantee. Am I suitable for LASIK/SMILE/laser eye surgery? That’s a question for your optometrist to answer. It depends on your degree of shortsightedness, corneal thickness, propensity for dry eye and whole lot of other things. I’m a little wary of the ‘free assessment’ some clinics run partly because they’re not particularly thorough. I don’t want to be told I’m a good candidate for surgery when I’m not. What should I do if I’m travelling? It’s actually pretty easy to fit LASIK into a short trip to KL. It might be wise to do an assessment in your home country just to get an idea – you don’t want to fly all the way to KL only to be told you’re not suitable. Optimax don’t accept assessments from other clinics; they are liable for your eye health and so need to run the tests themselves. You would ideally do the assessment on Day #1, then come back on Day #2 for surgery. On Day #3 you’d come back for a follow up, but if all goes well, you should be cleared to fly from then – you’ll just need to use extra eye drops as your eyes can get dry from cabin pressure. You can do all follow up checks in your home country and just send the scans over to the team at Optimax to monitor – easy peasy. I’m not going to go into this in great detail, but here’s the summary. For more info, look at Optimax’s info page. PRK/ASA/LASEK: The top layer of the cornea is removed to allow the laser to be applied to the eye. Most suitable for those who have a scratch on their cornea, dry eyes, or have thin corneas. Oldest procedure and also the most painful. LASIK: A flap is cut to allow the laser to be applied to the eye. Two types – blade (microkeratome) or bladeless (laser). Vision recovery and stability is generally quicker than SMILE, but it is considered more invasive. Pretty well tested and over 28 million surgeries have been performed worldwide. ReLEx SMILE: A laser is used to create a lenticule in the cornea, and is removed through a micro incision. The newest procedure and also the least invasive. Takes longer for vision to stabilize but there are less dry eye symptoms. Yet to gain USFDA approval, but approved and currently in use in countries such as Australia and UK. If you are tossing up between SMILE and LASIK, read about my experience with LASIK here – yes I’ve done both and I compare them for you! What happens in the initial consult? My eye assessment at Optimax took 2-3 hours, and cost RM195 at time of writing – you’ll find more details here. As I mentioned above, the ‘free assessments’ other clinics run are nowhere near as thorough. During this assessment, Optimax run lots of tests including the usual one that involves reading alphabets off a chart. There’s also the ones that blows a puff of air in your eye (to test pressure), ones to check corneal thickness, topography, colour vision, dry eye, just to name a few. Part of the assessment involves dilating your pupils, which makes it harder to focus – the effects last for about 24 hours and I could barely read shopping labels afterwards, so factor this in if you plan to go back into the office to work. The dilation also makes your eyes more sensitive to light, so make sure to bring a pair of sunnies along. 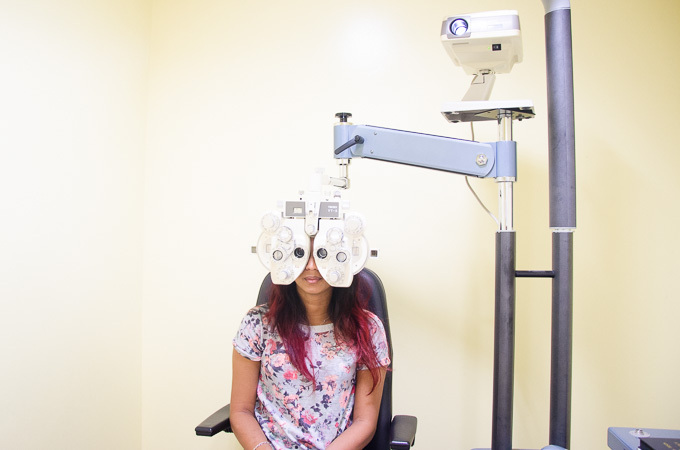 Your optometrist will explain to you the different procedures and give you time to ask any questions you might have. It’s recommended that you don’t drive after this assessment. You will come in to meet with your surgeon and make payment another day. My surgeon was the super lovely Dr Yen – I know there are a lot of recommended doctors on the forums, but I felt really lucky to get her. She’s really patient, sweet and gentle. Can I do my assessment and surgery on the same day? You technically can if you have stopped wearing your contacts for at least a week prior to the assessment date. However, my optometrist advised against it because your pupils are dilated making it harder for your eyes to focus during the surgery. How do I prepare for the surgery? What should I bring? Bring a jumper in case you get cold. You won’t be able to drive after the surgery so get a friend to drive you there and/or back. Make sure to get a good night’s rest. I was advised to arrive an hour before my surgery – I read and signed some waiver forms, then was taken to the surgery room to get ready. I have never had any sort of surgery before, so I started to get excited nervous from here. I, with my partner Nick accompanying me, was asked to remove my shoes and wait in the patients’ waiting area. While waiting in a comfy armchair, the surgery room doors opened and a patient walked out, guided by a nurse. He was blinking a lot and his eyes were a little watery, but he had a look of wide-eyed wonderment about him, ‘I can see, I can see…’ he kept saying, while looking around the room at things. I couldn’t help but share his excitement; it definitely helped ease my nerves. A nurse named Molly came and introduced herself to me, then explained the after care instructions and medication. Surprisingly, it’s just antiseptic drops and refresh drops – no eye shields required for SMILE! I was then taken to a waiting room where I was given a set of scrubs, a cap for my hair and some sort of sock things for my feet. Dr Yen came in and asked how I was feeling, I don’t remember exactly but I think I was some sort of crazy mix of ‘yeah, let’s go!’ and ‘OMG what am I doing?’ She explained that they start with my right eye – the laser will create the lenticule and micro incision, then she would remove the lenticule before proceeding to repeat the procedure on the second eye. Don’t squint or close the eye that’s not being operated on she said – it will be covered with a shield anyway. She gently reminded me that the laser part of the procedure will take 26 seconds, and that I am to look at the blinking green light, and halfway through the light will disappear – don’t panic, she said, from that point on, just try to not move my eyes around too much. She asked if I have any questions, and I shook my head. I hand over my glasses for the last time and I remember thinking that I couldn’t even read the time. Dr Yen returns a while later and examines my eyes one last time before the surgery. She places a tiny pen mark on each eye, then administers some numbing drops. (I know some places give you Valium, but I suspect this is for the very nervous patients). A few minutes later, I am taken into the operating theatre and told to lie on the bed. A second round of numbing drops are administered. Dr Yen reminded me that they will start with my right eye, then covered my left eye with a shield. I could hear a second voice in the theatre, I thought it was Dr Chung – I was very lucky to have two supervising surgeons because I was a slightly more complicated case. A metal device was used to keep my eyelids open, then my eye was rinsed with saline. It was a little weird not being able to blink, but it doesn’t hurt at all, and my eyes aren’t dry. Dr Yen checked that I couldn’t feel anything in my eye, then told me that we were going to begin. I could see the machine move towards me, and it finally dawned on me that this was it! I have a final moment of nervous excitement before I hear ‘suction on’. I could see a blinking green light, then felt the machine lightly touch my eye. I could hear someone counting and realised that there was a nurse gently touching my hand to reassure me. I just focused on breathing – in and out, in and out, in and out. There was a spiral shape winding round from the outside in – this was me seeing the laser cutting the lenticule, just like in the video. The green light disappeared and I continued to focus on my breathing. ‘Ok, finished,’ I heard Dr Yen say. It hardly felt like any time at all. She removed the lenticule – during this part I can feel a light pressure on my eye but that’s it. It’s not even slightly uncomfortable but it does take quite a few seconds. My eye is rinsed and a foam sponge is used to sort of squeegee the eye. Onto the second eye – more numbing drops, and I definitely thought I could feel what’s going on in my left eye a bit more, but it’s not painful or uncomfortable. The left eye went well, said Dr Yen, reassuring me that the scratch on my cornea wasn’t an issue. Outside the building, everything is really bright. I tried to not open my eyes much. I went home and headed straight for bed – I didn’t think I’d be tired but all the adrenalin has caught up with me. My eyes have started to feel a little more gritty at this point. I wasn’t given a sleeping tablet, and even if I was, I don’t think I would’ve needed it anyway. I slept from 11 until 2pm. Even in that short space of time, I could see clearer than I did before I went to bed. My eyes still felt sandy, so I went back to sleep. When I woke up, it’s 4pm and although everything is still quite bright, I felt pretty good. My eyes feel totally fine and I’m staring at things with newfound amazement, my vision’s a little hazy but I could see a lot more than I did before. ‘I can see,’ I keep repeating over and over to Mum and Nick. By 7pm, I was out on the town for dinner (sunnies still on) and didn’t get home til midnight. Pretty amazing for someone who had surgery at 10am that morning! At my follow up the next morning, I could read the 20/20 line. Details and writing on the road signs in the far distance were a bit fuzzy, and I had a slight difficulty focusing but I’ve been cleared to drive. I have to stress that my vision wasn’t perfect – I was more than happy with it, but it wasn’t crystal clear, or high definition, as some other places would have you believe. I say this because I want to manage your expectations; everyone has different recovery times. I opted for SMILE which has longer recovery time, my friends who did LASIK have said theirs was 100% by the next day. Anyway, I’m pretty chuffed at my new eyesight and I insist on driving myself home. Over the next few days, I found that I have a little trouble focusing on text that’s far away, and my eyes remain a bit sensitive to light; I think my eyes are still adjusting, and Dr Yen has told me that it can take months to stabilise. I can still see well enough to drive, read my phone, read books – it’s just that far away details aren’t super sharp. I keep dozing off, then waking myself to go to the bathroom and remove my contacts, only to realise I’m not wearing them – it’s really amazing to have perfect eyesight. At the one week mark, my vision has regressed back to -0.75 but I can still read the 20/20 line unaided. It’s not great and I found it difficult to see in low light situations – in daylight, it was perfectly fine. It’s quite frustrating but I knew that I was in good hands with Dr Yen and Optimax. It’s really important that if you’re considering laser eye surgery, you realise that everyone heals differently and at a time like this (which can be frustrating) you’ll be glad that you paid more to be in the hands of an experienced doctor at a reputable clinic. Optimax reassured me that if my vision worsens to -1.00 that I would be covered under their Vision for Life guarantee and be eligible for follow up surgery – but they advised me to just wait it out while my eyes stabilised. It was definitely a little frustrating, but true enough, the blurriness started fading away. It can be disorienting, some days things would be clear and some days they would be the slightest bit blurry, but I only really noticed these things when I was really trying to be nitpicky. Most of the time, it’s just amazing to be without glasses or contacts! My dry eye over all this time was very minimal, and although I was using refresh drops to help healing, I had to remind myself to put them in. At my monthly check up, my visual acuity is 6/6 in both eyes, with prescription of -0.25 in both eyes with -0.25 astigmatism in my left. Optimax includes 12 months of follow up in the surgery cost. I’m due for my 6 month check up in a few weeks. UPDATE June 2018: Approx 3 years on, after being unhappy with my vision at night and in low light situations, Optimax has recommended that I get an enhancement. You can read about it here. I can’t stress how amazing it is to not rely on glasses. I can see the clock in the mornings and at night. I don’t have to worry about falling asleep with my contact lenses in. Travel is so much easier because I can grab an overnight bag and go. I have much less dry eyes than I did wearing my contacts. I can open the oven door without fogging up my glasses. I wouldn’t hesitate to recommend Optimax. I don’t think I got special treatment, I’ve watched them with their other customers and they were always very friendly, professional, thorough and they respond to messages. Disclaimer: My laser eye surgery was sponsored by Optimax Eye Specialist, Malaysia. All opinions are my own. In 2018, my partner also had his eyes done at Optimax (not sponsored) and is happy with the result. I can honestly say that getting my eyes done at Optimax was the best thing to happen to me this year. I wouldn’t have entrusted the safety of my eyes to a clinic that I don’t feel 100% confident about. It’s one of those areas where I’d be happy to pay more to be in the hands of an experienced surgeon who belongs to a reputable clinic. 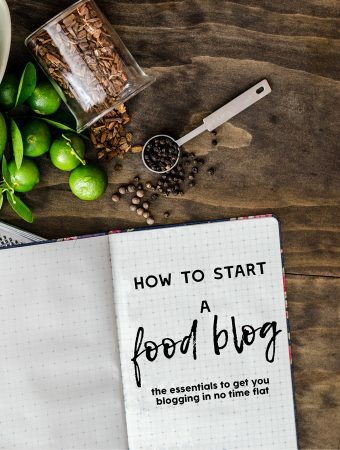 Like with all things on this blog, I have a strict rule about not recommending anything that I wouldn’t be happy to pay for myself. To say that it’s life changing is an understatement – it’s like having perfect eyesight but being able to appreciate it more because you know what it was like before. No more dry eyes, no more worrying you’ve forgotten to pack solution/contacts case/glasses/spare contacts or what if my contact pops out/what if I forget a lens case etc. EXCLUSIVE PROMO CODE: Optimax are offering RM 200 off per eye for all A Kitchen Cat readers who book in with the referral code #tashLASIK or show a screenshot of my Instagram. This discount is applicable to all LASIK treatment except TESA. Fees for complete eye examination still apply. I am happy to answer any questions you might have about my experience, so please drop a comment below. What I can’t do is answer your questions on eligibility for surgery or prices – please call Optimax directly, you can also send them a message via their Facebook page. Thanks for sharing your experience, it really helpful. I’m looking on which best + safety centre to do Lasik, I ‘m nervous +scare! !~~ coz gotta read some horror feedback review. May I know how the referral work? There’s no point scaring yourself before your surgery – just find a doctor that you trust and a clinic that has good results. If you call Optimax on 1800 88 1201 and say “Happy 20th Birthday Optimax’ you’ll get the discounted rate of RM 180 for a consult, RM4300 per eye for LASIK and a super special RM6100 per eye for SMILE. Does this promotion still valid now? Now still valid? How much is RELAX SMILE procedure cost? Hi Tash, your review is indeed useful for me as I’m currently considering to do lasik.. I have a few questions and would like to ask you personally..
That’s what this blog is for – I reply personally – unless you want to fly over to ask me questions in person? hello tash.is the promotion still vald? I enjoyed reading this. I have been wanting to correct my vision i was like 16 , I’m 23 now and plan to do this ASAP(hopefully for my Christmas) . Question : Can i go to Optimax Penang ? Just Say Tash referred me will work for some discount ? When Is Optimax 20th birthday ? i would like some discount . Thank you so much for sharing i think is great you do this . This is Optimax’s 20th year of operation. As far as I know you can use this promotion in Penang, but message me if you have a problem. i just saw your post and now it is 2017.. am i late to get a discount/ promo price under your name ? I recommend calling Optimax TTDI, letting them know you read about it on my blog and asking for current specials. All the best! 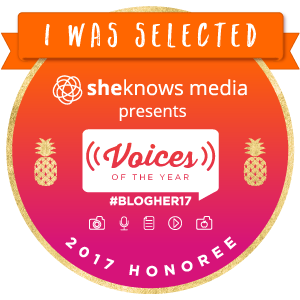 Hi Tash, you are so awesome and I believe this blog post sure helps a lot of people. Thank you so much for taking your time to do this. I live in Australia but my family is in Malaysia, I’ve been thinking about getting a eye laser surgery for a while. But honestly I don’t have the guts. And I think the prices in Australia are just way too expensive! So when I saw your blog post, I thought maybe I should do the surgery in Malaysia. – Why do you choose Malaysia over Australia? Doesn’t Australia give you more assurance and make you feel safer? Plus we have health insurance in Australia that may cover the cost right? – Why do you choose SMILE not LASIK? Is it recommended by the optometrist when you do the check ups? Thank you very much again Tash! Hi Jocelyn, It’s very exciting that you are considering laser eye surgery. I think most people who have had it done wish that they had done it years before, so don’t be scared. There are risks, but for most people the most they will need is a follow up correction (and even that is rare). I thought I had covered your questions in my post, but maybe I wasn’t clear enough. There are quite a few dodgy providers in Australia too. I have heard of clinics that advertise like they offer PRK, LASIK and whatever else, but when you go for the consult they push you to PRK which are they only machines that they actually have. I think we all assume that Australia is safer, but really, if the clinic is dodgy or the Dr isn’t experienced, money cannot compensate for your eyesight. 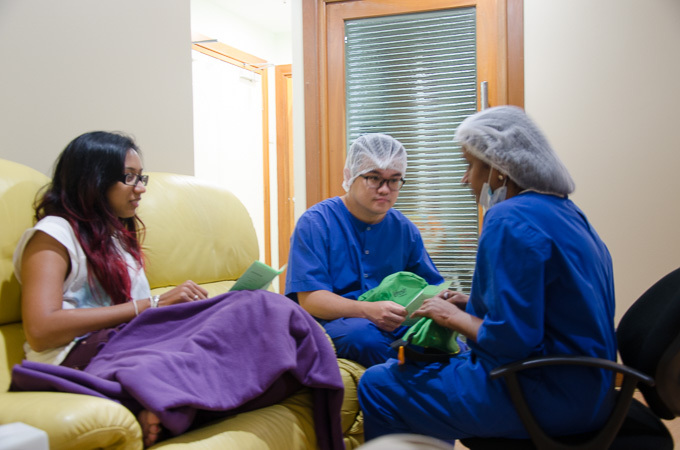 The thing is also that surgeons benefit from experience and in KL more people can afford laser, this means more patients through the clinic and more experience for the surgeon – of course this is a huge generalisation, but you get the idea. At the end of the day, you have to be 100% confident in the clinic and surgeon that you choose – you only have one set of eyes after all. I thought Dr Yen at Optimax was so professional and knowledgeable, and especially for nervous patients that ask a lot of questions, she’s so patient and really takes the time to answer each question. Health insurance in Australia usually does not cover elective procedures, such as laser eye surgery. In some cases, with the higher levels of comprehensive insurance (in the thousands of dollars per year) then it might be covered, BUPA does offer it in their comprehensive cover. I chose SMILE over LASIK because it has lesser occurrence of dry eye. Also, I had a bad habit of rubbing my eyes a lot with the dusty environment and I liked that SMILE was a lot less invasive. That said, recovery has been longer – in the first few months some days things are super clear and sometimes they are a bit blurry. My vision is still not 100% perfect, but I am confident in Dr Yen and Optimax. I’m sure they will help me reach the result that I desire, but in the meantime, everyone heals differently and I’m waiting to see how my eyes go. It’s still an amazing feeling to be able to swim without contacts, travel without carrying a bag of supplies and open an oven door without fogging up my glasses. I’ve also been guilty of cutting chilli and then taking out my contacts – ouch! Never again. Do you happen to know if Optimax perform treatment for people diagnosed with central serous retinopathy? If so, what is the cost for a laser treatment? Hi Tash, how have your problems with night vision changed over time? Have they disappeared? Thanks. I’ve always seen halos around street lights at night, so this wasn’t really an issue for me. My night vision is great now though, I think it’s improved over contacts but my vision in low light isn’t too good. I think it has to do with my eyes still adjusting – I have some residual short sightedness, around -0.5 but I will be getting Dr Yen to weigh in and see what she thinks at my next appointment with Optimax. Thanks Tash for your quick reply. I am 6 weeks post Relex SMILE, and when the light is a little dim my vision becomes blurry. When light is very bright (eg. in broad daylight), my vision is clear however it’s SO bright that my eyes become painful. I know every patient is different, but I am wondering whether your poor vision in low light has been improving over time. I would be keen to hear what Dr. Yen thinks also. Thank you. My vision was perfect the day after surgery, though it is about -0.5 now. I think my eyes are still adjusting and will keep you posted when I next chat to Dr Yen. UPDATE: almost 3 years on and I have residual power, of approx -0.75 to -1.00 and Optimax have recommended an enhancement, which I will do in the coming week. Hi Tash, is there a promo for 2016? I am not sure, best to ring Optimax or enquire via their Facebook page. I would like to know the cost of Lazik eyes surgery for my wife? Hi, may I know if the discount is still available? another question is astigmatism can’t be cured? Best to book an appointment because I could tell you it can or can’t be cured – whatever you prefer but because it’s not my area of expertise I wouldn’t know for usre. you mentioned ‘I opted for SMILE which has longer recovery time, my friends who did LASIK have said theirs was 100% by the next day.’. isn’t smile lasik as well? or is it different? Sorry, I totally missed this amongst all the other comments asking me about things that I am not able/qualified to answer. SMILE is different to LASIK, it’s less invasive, more expensive, newer technology. Better for your eye (less dry eye too), but it does take longer for vision to recover. Mine was 100% perfect the next day, but for the next few months probably wavered around -0.25 to -0.75. It’s settled now on -0.25 which isn’t quite perfect but I’m still really happy with it. How much is the eye examination for kids? Just thought I’d respond here in case others are in the same position. I did my next day and one week check in KL, then flew back for the others as I had family events anyway (I was late by a month for my 3 month check) but Optimax are also fine to have you do it at another clinic internationally – they’ll give you the forms and everything. This is to ensure your eye health as well as make sure that you continue to qualify for their vision for life (lifetime guarantee) program. If I could do it again, I probably wouldn’t bother flying back – they are very short check ups which can be done at most good ophthalmologists. Hi Tash, I’m also seriously considering this procedure and it seems like an option to me. How has your recovery been now that it’s been a number of months? My job requires a lot of computer screen reading time and I don’t know if the prolonged recovery period is feasible. Hi Jayne, I think maybe my post wasn’t clear enough – my vision was perfect the next day and it did fluctuate a little over the coming months but it was only between 0.25 (tiniest bit fuzzy in the distance) to 0.75 (fuzzy enough to be annoying but still fine to drive without glasses). The recovery time is really really short, I could drive the next day! That said, you probably want to give your eyes some time to recover properly – looking at screens reduces your blink rate so it might be good to take a few days off work. I’m sure your Optimax consultant can tell you more and answer the more technical questions. I tell everyone that it’s the best thing I’ve done – no regrets. Hi Tash, did the the promotion still ongoing (Optimax will offer Relex SMILE at a promotional price of RM6900/eye (normal price RM7500/eye) if you book your appointment and mention my name) as what u wrote at the blog here? From Optimax: Our current price for Relex smile is RM7888/eye. However, if they mention your name, we are offering them Relex smile at RM6888/eye. I am extremely interest for the Relex Smile lacer, as your sharing above that : if you mention that Tash referred you, you will get a discounted price of RM12600/$4200 respectively.” Is this still available ? Kindly confirm before I can proceed further of clinic option. The current promotion is at the bottom of the post. I can only update the info as it is provided to me by Optimax. Recovery time is a bit longer and that can be a little frustrating so bear that in mind. Custom FEMTO LASIK is a good option too – best to check with your optometrist doing the assessment. Hi Tash, read your comprehensive review and signed for their Femto-LASIK treatment. They mentioned a discount is possible with a referral full name. Would you able to PM me your full name or contact number during your treatment ? Many thanks ! I’ve emailed you at the email address supplied. All the best for your surgery! Hi, Tash, can you give me your full name or contact number during your treatment? Same case here, looking for a discount. Thanks so much. Hi Tash. I m oso seeking clinic for eye laser. My shortsighted problem is worst, up to -8.00, with 3.00 astigmatism. Can i have your full name or contact number as well? I know the surgery will be expensive and hope can get some discount. i underwent same refractive surgery as well and same surgeon-Dr.Yen Siew Siang with you. My post op Vision acuity is poorer than pre op VA and seeing ghosting image. Disappointed about the result. Do you experience it ? Do you mind to share your vision quality ? I found that my vision fluctuated quite a bit post SMILE – although I had perfect vision the very next day, it was up and down over the next few months. It’s settled at about -0.25 now though which is not crystal clear but beats not being able to see the clock in the mornings. I can’t recall ever seeing ghosting image. Just be patient, keep using the eye drops and allow your eyes to recover. Dr Yen is very patient and experienced, so I’d recommend asking her all your questions as she is the expert. If you are not satisfied with the result, the Optimax Vision for Life will allow you to an additional corrective procedure at no cost – but honestly, just give your eyes time to recover – it is still surgery after all. My bitter experience with Dr.Yen tells me otherwise about her character and attitude .Maybe you do have a special treatment , I guess. Already more than six month from initial surgery. Optimax doctor told me nothing much will change . Now my post relex smile eye-cornea had more scars than yours , lost my clarity. optimax doctor one moment said wait for enhancement , one moment said no warranty that enhancement can help .Finally commented , enhancement cant rectify my negative result. What is your opinion ? should I trust them again ? I honestly don’t think I got special treatment. My mother did her eye surgery there many years ago, which is why when I decided to do my eyes, I went back there. I am not a medical professional and so really my opinion is not much use. It’s a personal decision and I do wish you the best of luck. I hope you achieve good vision but I do think you will need to wait at least one year for your vision to stabilise before considering any further options. I understand it might be frustrating but you should give your eyes the chance to heal and the best chance to get good vision. I’ve emailed Optimax to check their promotions for this year. Rm3000 from normal price for both eyes treatment. After rebate will be Rm6388 per eye for Relex Smile. (normal price:Rm7888/eye). I remember watching you on MasterChef Australia and you are amazingly talented! Thank you for writing this blog about laser eye surgery. I am planning to get my done either in Brisbane or Kuala Lumpur. Thanks Sharlene! All the best with your surgery – it’s life changing. Any questions, just drop me a line. Very informative article, thanks for taking time writing it. I just wanted to get some advice, my wife and I will be visiting Kuala Lumpur next week and we will be there for 2 weeks and we are from the UK. My wife is really considering laser eye surgery but it’s too expensive in the UK and we thought it might be a good idea to check the prices in Malaysia. Which companies do you recommend in Kuala Lumpur to do the surgery? Thanks. Hi Touhid, If it wasn’t already apparent from my post I recommend Optimax. I had my eyes done there at the Taman Tun branch, as did my mother 12 years ago. They have performed over 100,000 successful surgeries. That’s my personal experience – I recommend you do your own research as you need to be 100% satisfied with the optometrists and the surgery. Something to keep in mind if you are planning to do surgery – you’ll need to lay off the contact lenses from pretty much now. One week is recommended, but I went for three weeks without contacts. How do you make the payment? Full or instalment? I wish to subscribe for instalment payment but it’s only apply to credit card. Thank you for the post! Very useful indeed as a guideline. Planning to do my eye lassik back in KL as well. Thanks, all the best with your LASIK when you do it. Any promotion code or discount for now? I think its been 2 years since you did your SMILE surgery. How is your eye condition now? Is your eyes back to normal? Any complications of post surgery ? Hi Geeisha, Gosh time flies. I must admit that my vision is not perfect but the lifestyle trade off for not wearing glasses is really good. I never have really dry eyes from contacts and being in the air cond all day, I can see the clock when I wake up, I never have to worry about packing contacts and solution and a contacts case. It’s not like wearing glasses or contacts where everything is super sharp, so I’m assuming that I have minor residual power. EDIT: My optometrist in Sri Lanka says that I have -1.0 in both eyes, but I am not confident in this as my vision definitely improves with eye drops. I will update further when I go back to KL for testing. UPDATE: I am going for an enhancement procedure this week and will keep you guys posted. Hi Tash. Hope you are well. I am looking forward to this update. I just had the same smile surgery in Vietnam. I am just a bit concerned because after 2 days before i had to leave for Australia, I had my checkup: +0.5S and -0.75C. I hope these numbers will improve as my eyes heal. Also a strange thing to note. I had some myopia but after the surgery I have slight hyperopia. The doctors did tell me to practice close range reading. So it may not be a big deal. My eyes were actually perfect the day after surgery but in the last two years my shortsightedness seems to have come back. I think everyone heals differently, so just be patient and give it a few weeks. Rest your eyes as much as possible (I regret not giving my eyes more rest) and remember that a second correction is possible if you’re not happy with the results. I read your post way back when you’d originally written it, and now that I am considering getting my eyes fixed, came back to check on how you’re doing now? I live in Singapore so seriously considering getting this done in KL. Know you’re not a specialist and I do need to get a consult but in general what would you say.. my power is -2.75 in both eyes so not terribly bad but I hate wearing glasses. Have had them since I was 10. Wore contacts through my late teens into mid to late 20s but now (at 33) I find I cant tolerate them anymore. They make my eyes super uncomfy and super red and watery within a few hours. Especially if there is some eye makeup on. Havent worn them regularly in abt 4-5 years now. I’ve been reading reviews on the SMILE surgery and have to say yours really has helped me decide to go for it! I’m going to Korea in July so plan to get it then and there. I know you’ve already responded to Melvin’s question above regarding checkups, but I just wanted to ask further if you know of anyone who has had difficulty in getting the checkups done in Australia (bit of a silly question, but I thought I’d try and ask!)? I suppose I am concerned that I’ll be rejected for a check up as I did not get the surgery done in their clinic etc. Hi Cecilia, I haven’t had a check up done in Australia yet as I’ve been living in Sri Lanka for the past three years. As far as I can tell, it’s pretty standard – you just need to use the Optimax forms and ask the optometrist to fill them in. There’s lots of optometrists that don’t offer laser, so I’m sure they won’t mind doing a standard check up. Plus, they’re still paid for checks, so I don’t think they’ll be too upset about doing them. How is your eye power now. Hi Kiren, I’m about a -0.5 in both eyes which is mildly frustrating. I hardly notice it in the day and when the light is good, but I do notice it especially at night, and prefer not to drive when it is dark. Thanks for sharing your experience and replying almost every comments up there! I’ve read pretty much from top to bottom of this post, up to the last comment on Feb 2018. I’m considering to go for SMILE or LASIK. How is your recovery up to date? (knowing your vision wasn’t perfect up till December 2017). There’s been some new developments of late and I haven’t yet had time to update the blog. My partner had LASIK done at Optimax too! My vision is deteriorating somewhat. It is disappointing, and I am having some trouble driving at night. At my last assessment I think my vision was -0.5 in each eye. It’s fine in the daytime, and I understood that there can be a degree of variation when you opt for laser correction. My partner’s vision is perfect in one and slightly long-sighted at 0.25 in the other. I think it is just a matter of how your eyes heal, and every individual is different. In my case, I am still able to go for a second correction, though they don’t usually opt for that until you read -1.0. UPDATE: Hi Sue, Optimax have recommended an enhancement so I will be doing that this week and will keep you posted. Your partner done LASIK, not SMILE ? Mind to share your experience or recommendation between LASIK compared to SMILE. I heard LASIK is cheaper than SMILE at OPTIMAX. Mind to share your enhancement result ? you choose which type of enhancement method? How did the enhancement go? Do share the results.. I have been short sighted since teens and after i hit 40s, i found i couldnt read small print too. I was prescribed multi focal contact lenses recently but i find my vision blurry because of my astigmaism. Its really complicated and I really hope that Lasik is the best option. May I know what’s the latest discount offer using your name? 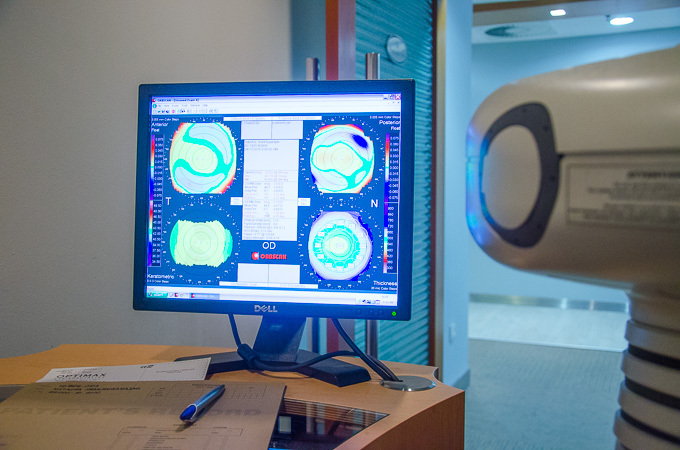 I am seriously thinking about laser eye surgery at Optimax Penang, Could you email me your full name and number so that I can get the discount? I am thinking of getting corrective procedure done at Optimax Penang. May I know if the above is your latest discount offer? Will mentioning your name be enough?